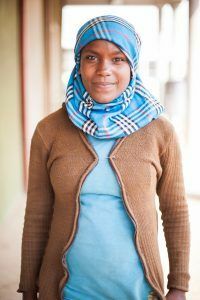 Even as more women in Ethiopia are receiving antenatal care (ANC) services, coming earlier in their pregnancies and more frequently for care, maternal mortality remains high. The leading causes of maternal death include hypertension, eclampsia, hemorrhage and obstructed labor, all of which are more common among women with gestational diabetes, or high blood sugar that is detected during pregnancy. Gestational diabetes can also have serious effects on babies, including abnormal birth weight, congenital malformation, respiratory distress syndrome or stillbirth. Evidence suggests that gestational diabetes is highly treatable and, since it is associated with other conditions, there may be opportunities for integrated treatment approaches. But pregnant women in Ethiopia are rarely screened for this condition, which contributes to gaps in diagnosis and the measurement of prevalence. In fact, it is not clear how widespread the problem is around the world: Varying estimates show gestational diabetes affecting less than 1% to as many as 28% of pregnant women globally. To address this knowledge gap, Management Sciences for Health (MSH) carried out a study assessing how common gestational diabetes is in Ethiopia and identifying its associated risk factors. We also examined the feasibility of integrating low-cost services for gestational diabetes into ANC. The study was conducted at three health centers in the Tigray Region—two serving primarily urban women and one serving mainly rural clients—where we trained ANC providers to collect demographic and health data from the pregnant women, including outcomes of previous pregnancies, personal and family histories, blood pressure levels as well as results of urine, glucose, anemia and HIV tests. Each woman was asked to return for follow-up testing early in the morning after an overnight fast. Women who were diagnosed with gestational diabetes were then provided advice on diet and exercise, and 79% of the women who followed the dietary and exercise regimen were able to bring their blood glucose levels to normal after two weeks. Health center staff referred those who did not respond well to a hospital for further treatment. Among the 1,242 pregnant women who were tested, more than 11% were found to have gestational diabetes—higher than previous estimates among pregnant women in Ethiopia of between 4% and 9%. We found no significant difference between women with gestational diabetes and women without the condition in terms of age, occupation, education or marital status. Urban women, however, were diagnosed with gestational diabetes at a rate two-and-a-half times higher than rural women. Women with gestational diabetes were also significantly more obese than those without gestational diabetes, and they were also nearly three times more likely to have a close family member with diabetes. Furthermore, 22% of women living with HIV were diagnosed with gestational diabetes, compared with only 11% of HIV-negative women. What does this tell us? The unexpectedly high rate of gestational diabetes suggests that the condition may be a neglected factor contributing to Ethiopia’s continued high maternal and infant mortality rates. And the findings that urban residence, obesity and family history were the main characteristics associated with gestational diabetes diagnosis point to lifestyle as a potential risk factor. The high rate of gestational diabetes among women living with HIV suggests both the importance of screening this group and the need for further study. This is especially true because Ethiopia has expanded antiretroviral treatment coverage for HIV patients and has adopted Option B+, through which all pregnant women living with HIV receive lifelong antiretroviral treatment. With more HIV-positive women receiving treatment, integrating testing for gestational diabetes into HIV care could help health services identify and treat women at high risk. Our study showed that integrating screening and counseling on nutrition and exercise into routine ANC can be effective in managing gestational diabetes, especially when followed by support and mentoring from health professionals. More research is needed to assess rates of gestational diabetes in other regions of Ethiopia and to test the care model on a larger scale. Further study should also examine specialized treatment services to support women—21% in our study—who do not respond to treatment models such as the one tested, especially women in rural and low-resource settings, and at special services for women living with HIV. Investments in diagnosing gestational diabetes can improve maternal, newborn and child outcomes in both the short- and long-term.